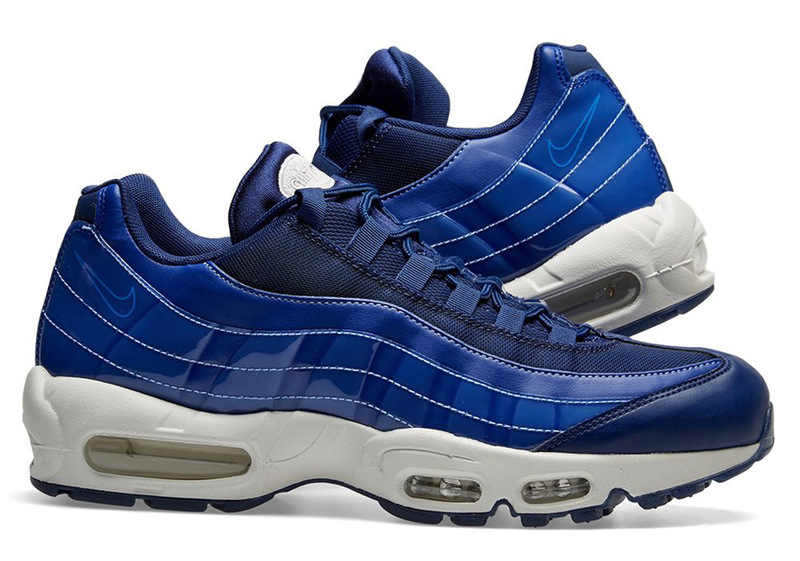 Never a stranger to unique constructions and aesthetics, the revered Air Max 95 silhouette has just released overseas in an attractive patent leather kit. 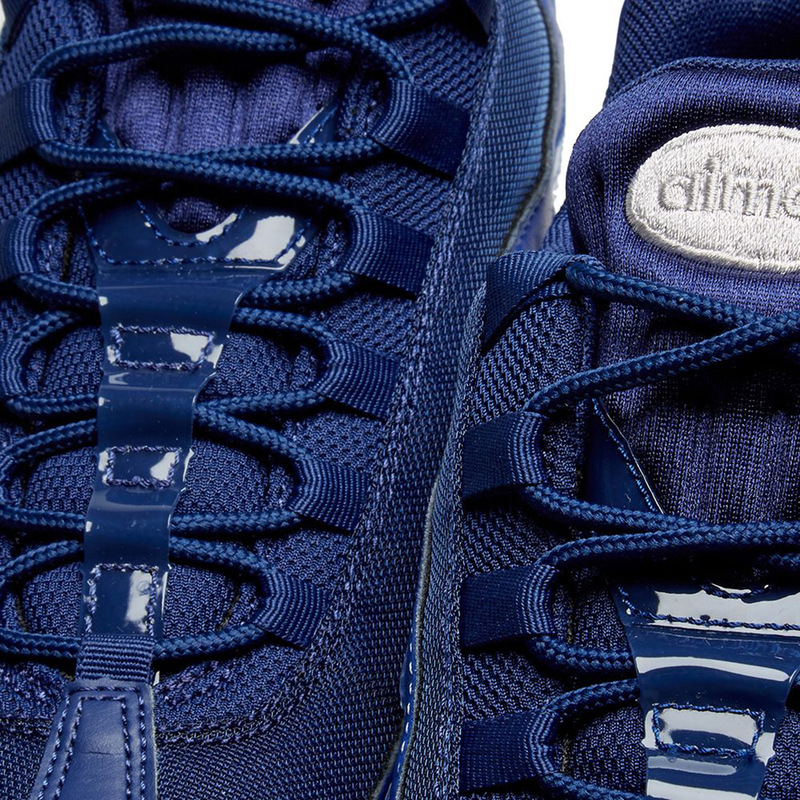 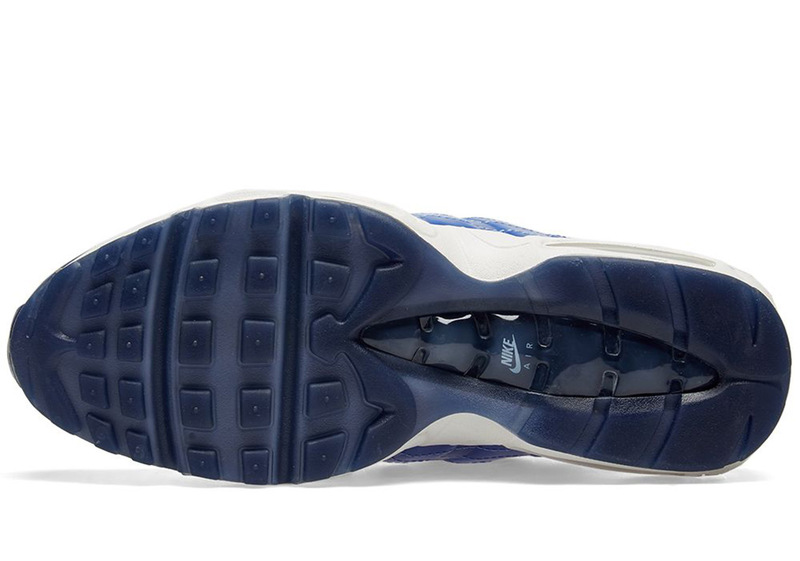 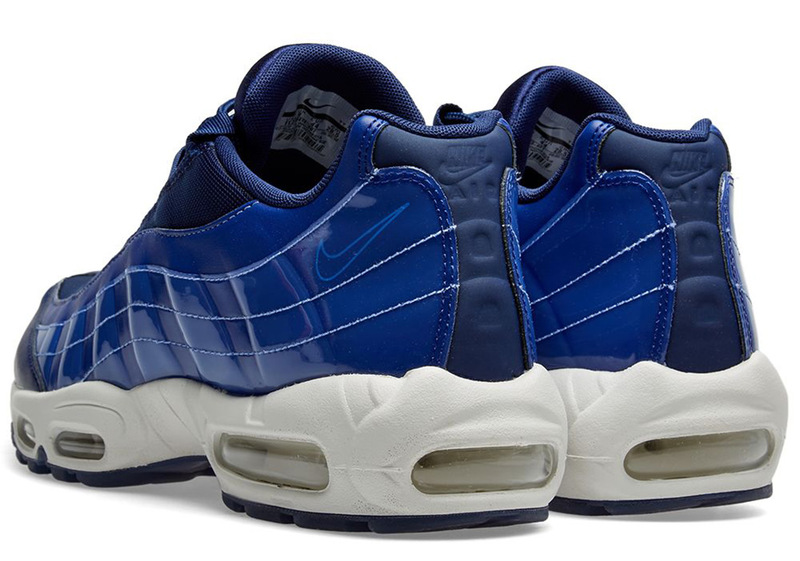 Leaning on a classic Blue Void color scheme, this 95’s midfoot racing stripes adorned in that aforementioned glistening leather, a navy blue shade take shape on its midfoot as well as its throat, with the help of white on its customary sole unit as well as its signature ovular tongue crest. 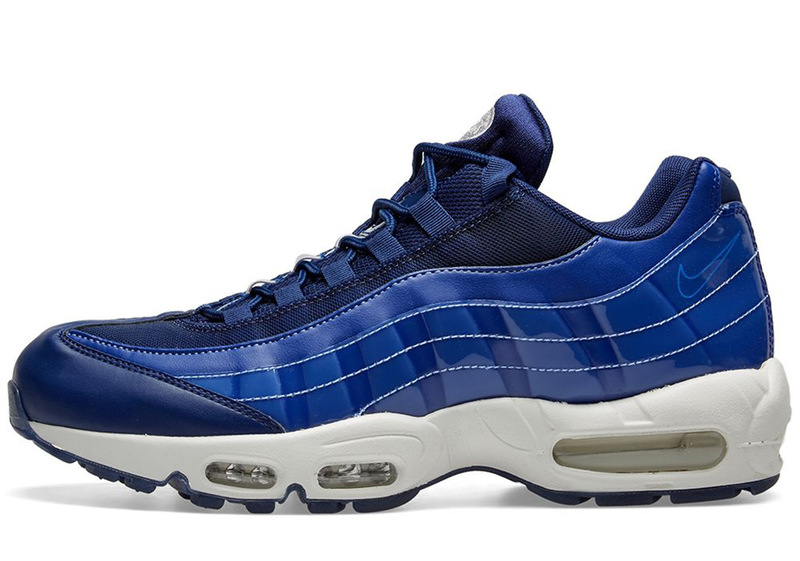 Behind only the Air Max 97, the 95 continues to make its way to market on a nearly weekly basis, proving that while it is 24 years young, it still continues to be in high demand. 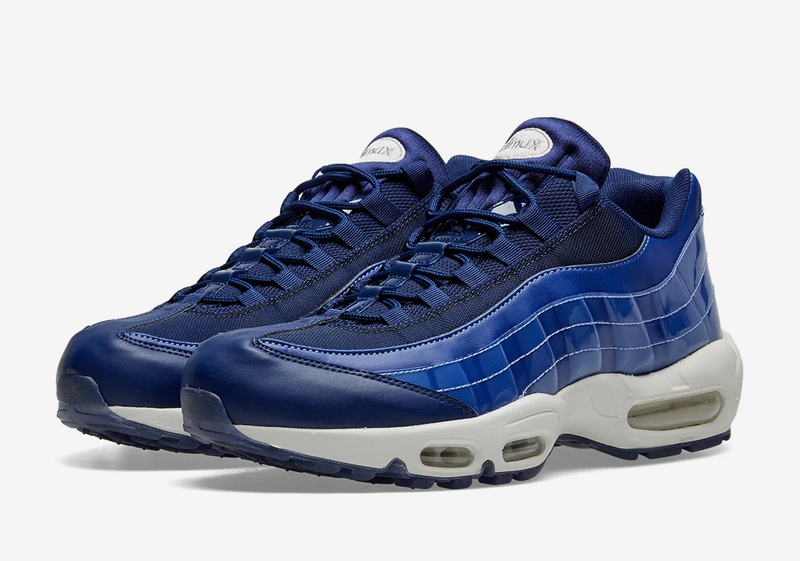 With select overseas retailers having pairs in stock, you can enjoy a detailed look below and anticipate their arrival in the States very soon.